These are way too easy to make friends. One mixing bowl and a baking sheet later and you have Vegan scones (mine were Gluten Free as well.) I even used frozen raspberries because I didn’t have fresh berries on hand and they worked just fine. 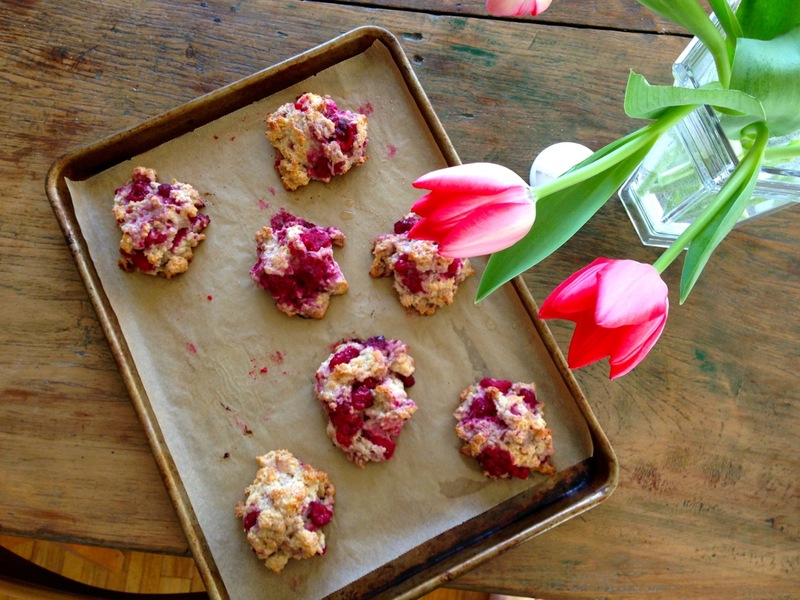 Fill your house with the scent of vanilla and then attack these scones over a cup of tea. You won’t regret it. Preheat the oven to 375°. Line a baking sheet with parchment paper. In a bowl, whisk the flour with the baking powder and salt. Stir in the oil, agave nectar, vanilla extract and vanilla bean seeds. Stir in the hot water, then lightly fold in the raspberries until well incorporated but not smooshed to bits. Scoop 8 even mounds of batter onto the prepared baking sheet and lightly brush the tops with more coconut oil. 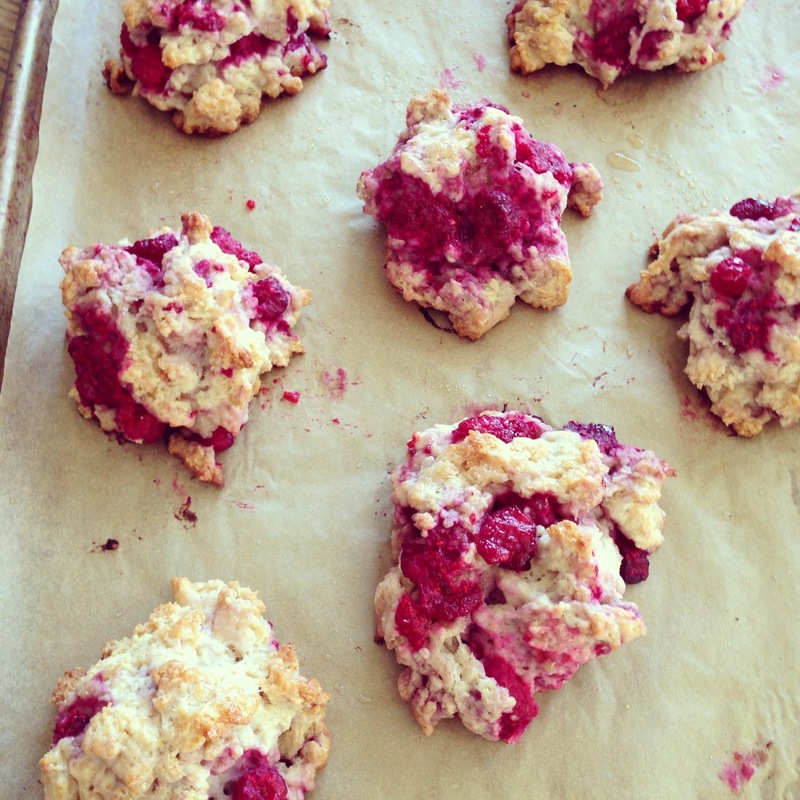 Bake the scones for 20 minutes, or until golden. Let the baking sheet cool completely on top of a rack. Remember Gluten Free baked goods taste better when cooled for some reason so try to resist.